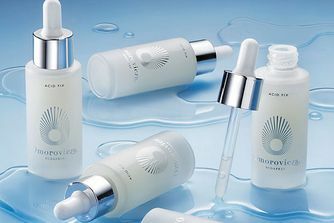 A beautiful tri-phase formula, Omorovicza’s Hydra Melting Cleanser transforms from gel to oil to milk, effortlessly eliminating every last trace of make up, oil and everyday grime. With a cocktail of skin-nourishing extracts, this ‘feeds’ your complexion as it clarifies – stimulating cellular regeneration while dissolving dirt – so your face feels soft, supple and not-at-all ‘stripped’. Mallow flower extract helps to hydrate and calm inflammation, while seabuckthorn berry oil – a rich source of vitamins A, C, E and omega 7 – works to purify and optimise renewal. Whatever your preference, Hydra Melting Cleanser is perfection – gel-balm, oil and milk in one, to dissolve daily dirt without upsetting equilibrium. The jelly-textured gel evolves into a cleansing oil when massaged over face and neck – attracting and eliminating oil-based impurities – then changes to a ‘milk’ once it’s emulsified with water, to leave your skin clean, calm and contented. Enriched with essential oils of sage, rose geranium and Roman chamomile, this exhibits a mild, astringent and antiseptic effect that’s brilliant for battling blemishes, while Omorovica’s signature 'Hydro Mineral Transference' system helps to deliver nutrients to where they’re needed, for quick and cumulative anti-ageing effect. Apply to dry skin and massage well. Add warm water to form a milky emulsion before rinsing away. Suitable for those with sensitive, dry, oily/combination and normal skin types. I purchased this honestly because it looked so lush and blue, and I was really keen on that luxurious spa vibe, but I'm not really overwhelmed by this cleanser. It is really lush and gentle, but for my oily summer skin, it's simply TOO gentle. I don't really feel like it's cleaning my skin properly. I'm sure it would be a great cleanser if you have dry, sensitive skin, but for me, it turned out to be pretty much a waste of an insane amount of money. I finished the jar in about 2 months, so it doesn't last very long either. 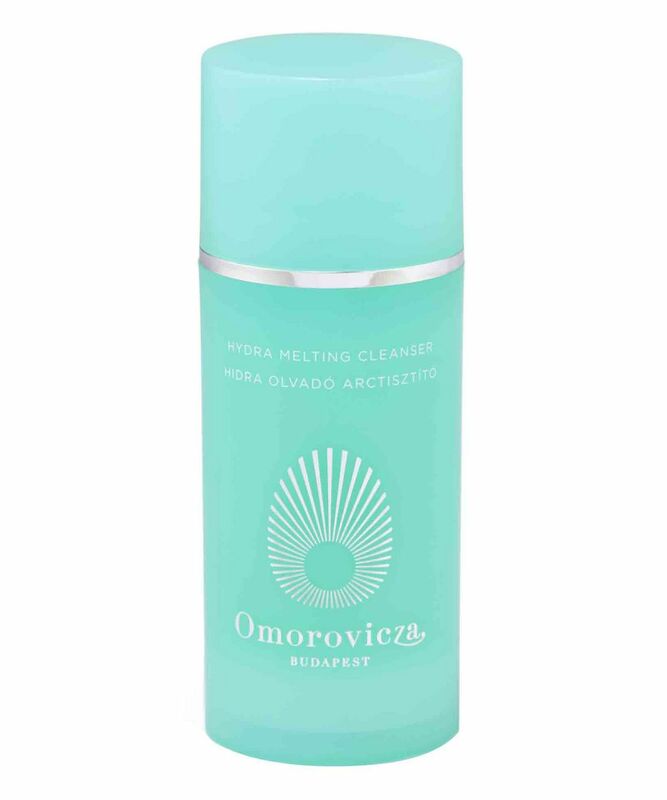 I am surprised that I didn't much care for this cleanser, as I have not been disappointed with an Omorovicza product before. My skin felt very dry and tight after cleansing with this. I much prefer the Thermal Cleansing balm which is top notch. I admit I was hesitant at first. I'm not that enthusiastic cleanser-kinda girl. I don't like investing in a product that stays on my face a total of - what? - 2 minutes a day. But in a weak moment, I thought 'what the heck, it looks really pretty', and splurged on all accounts. And what can I tell you: no regrets. This incredibly smooth, soft texture melts on the skin upon application, and it's become my favourite part of the day. So much so, that I look forward to rushing home after work and putting this spa-in-a-jar on my face. Not only does it smell divine - like spending a fresh, sunny spring day on a blooming meadow - it is also effective and dissolves impurities like a champ. Despite the high price tag, this is a definite re-buy for me! Oh Omorovicza what have you done? This is hands down the best cleanser I have ever used. It feels so luxurious and nourishing on the skin while at the same time being super refreshing thanks to the slightly herbal smell. I don't know what kind of magic is in this pot of gloriousness but it firms, hydrates, calms angry outbreaks, tones down redness....I am head of heels in love with this product. It truly is like a mini spa in a tub. I truly have absolutely nothing bad to say about this, except that it is so terribly expensive - but oh so worth it! Ok, so first off, this smells great, like fresh laundry in the sun. This cleanser is not like anything else. It may fool you at first looking like a classic balm cleanser, the likes you use a muslin cloth for and that leaves a bit of residue behind, which you love if you are dry skinned, but hate if your skin is anything but. But this is not your regular balm cleanser, it is sort of a hybrid. It has balmy texture, making it great for facial massage while removing your make up. It cleans make up well, if you are not into the really heavy artillery. But what is so unique with this is, when you are done removing your make up or massaging your skin - it washes right off! No muslin needed, no residue left behind, just clean refreshed skin. No second cleanse needed, I just love it. So simple and the great help when I am too tired at night, tempted to skip my night time routine all together and just jump into bed and sleep together with foundation and his friends (yes, you have those nights too) then this gets me through, since it is so simple and easy to use. Now, do you need this? Well if you recognize yourself in my description above and have the means to splurge, since this is expensive, almost a bit too much for a cleanser, then I say give it a go. Skin type? I would say this ought to fit the bill for most, unless there is something in it you happen to be sensitive to. I agree with another reviewer that since it does not leave behind a (deceiving) moisture/oil residue on the skin, you might feel a bit dry right after rinsing off, if your skin is naturally dry and dehydrated. Nothing that can't be fixed in post cleanse production though with a bit of moisture applied on top. Personally I am of the opinion that a cleanser should not leave residue behind, since cleansers no matter what form they come in are made up of ingredients that are meant to dissolve dirt, oil and so on and therefore should be removed completely from the skin after use. Having said that, I still don't view this cleanser as drying or extra stripping in any way, just not the opposite. I consider it a mild cleanser that does what it is supposed to, which is clean your skin. And the experience is beautiful, lovely, soothing and not to forget so simple you can get through it even if you have almost fallen asleep already! Can't recommend enough!